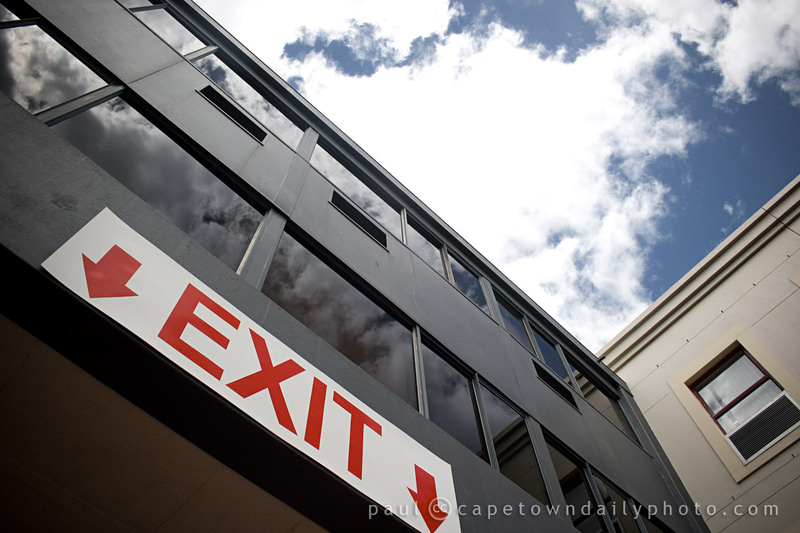 This oversized "exit" sign reminded me of those signs that you often see inside of theatres and similar venues. 17 November marks my dad's birthday and as a gift we've given him two tickets to go and see Cats at the Artscape theatre in Cape Town. Posted in Activities and tagged theatre on Tuesday, 17 November, 2009 by Paul. Cats was a very enjoyable show, hope your Dad has a wonderful time. Pleased to hear he is well. It feels a bit odd saying this as I do not know either of you but your ‘posts’ are so friendly, people all over the place must feel as if they do. Keep up the good work. Regards from the UK. Yes Paul, I think dad was rather pleased with the tickets – we are looking forward to the show.